My father made sure I had a spinning rod, and as I got older, a fly rod in my hands at a young age. I would often go out at night with a flashlight and get night crawlers before going fishing. On one side of my belt was my salmon egg holder with the spring loaded cap filled with Pautzke Balls of Fire. On the other side was my metal worm holder. It was a deadly combination of bait that trout couldn't resist. I learned to tie our flies from a Herter's catalogue as there were no fly shops or internet around in the 60s. Growing up in Walla Walla Washington allowed me to spend much of my youth hunting and fishing. It was just a part of life, and Dad and I spent many days catching rainbow trout from the lakes and streams in Eastern Washington state, or hunting pheasant, waterfowl, and deer in the Blue Mountains and wheat fields of Eastern Washington. The passion for fishing never left. Dad asked me, "What are you going to do in life?". I told him, "Well you taught me how to fish". I founded the Blue Quill Angler fly shop in 1988 in Evergreen CO. The Blue Quill was fortunate to acquire permits to guide on the South Platte, Colorado, Arkansas, and Blue Rivers in central Colorado. The retail shop in Evergreen, guide service, fly fishing school and on line internet business has grown to become one of the best shops on Colorado's Front Range and the West. I had the opportunity fish and guide on some of Colorado's most famous trout streams. I also taught fly tying, casting and all aspects of fresh water fly fishing. My wife Martha, our bookkeeper (the one who held us together) and I sold our shares in the Blue Quill in November 2016. 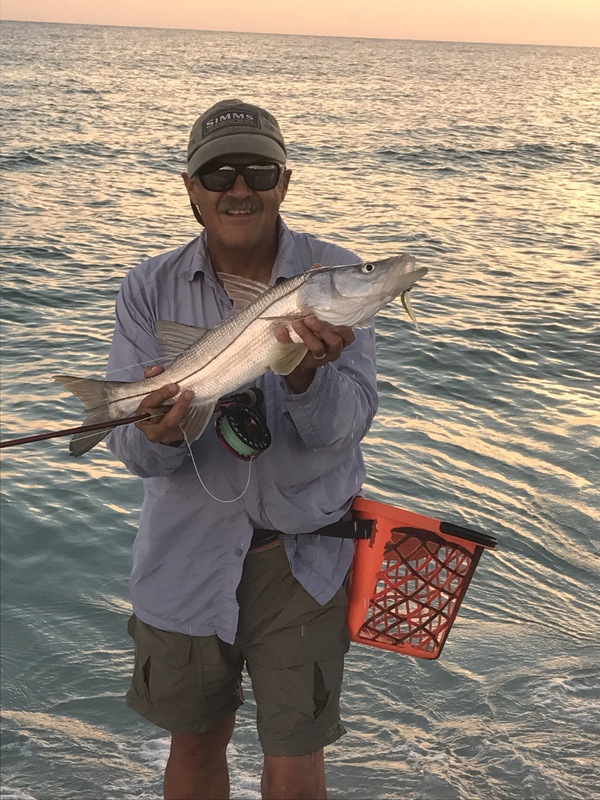 In May 2017 we moved to Bradenton Florida to be close to family and of course explore the many saltwater and freshwater fishing opportunities in Florida. I am able to access the many hundreds of miles of inshore areas and freshwater streams in my NuCanoe Frontier kayak. I also love walking the beach looking for Snook in the summer. Let's go fishing.